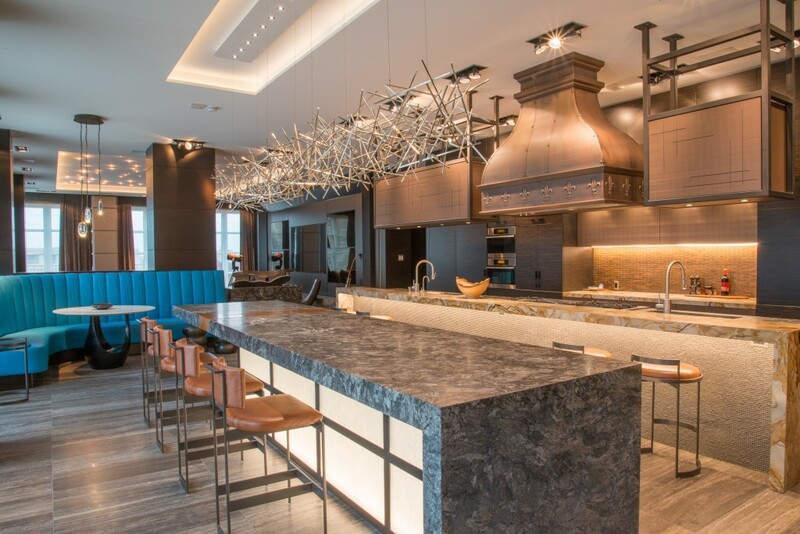 Metropolitan Entertainment Pad | Portfolio Projects | Fleur-de-lis Interior Design Inc. 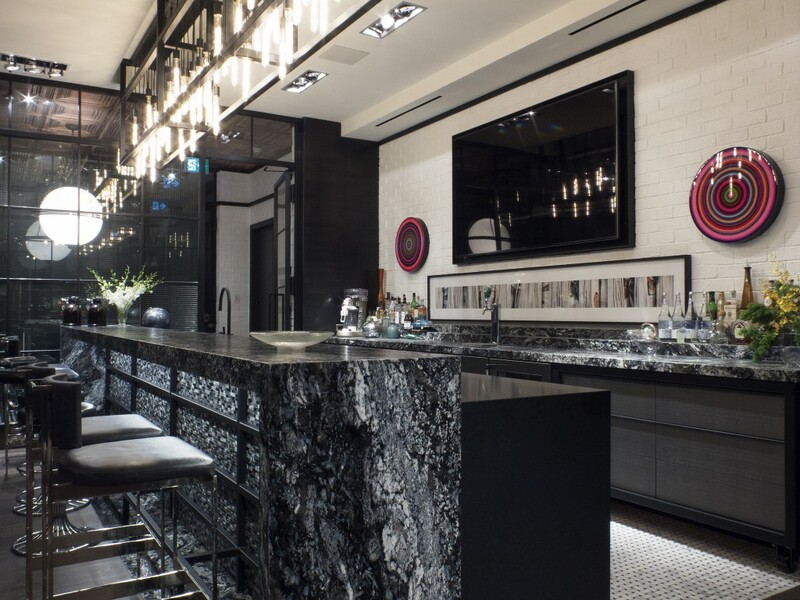 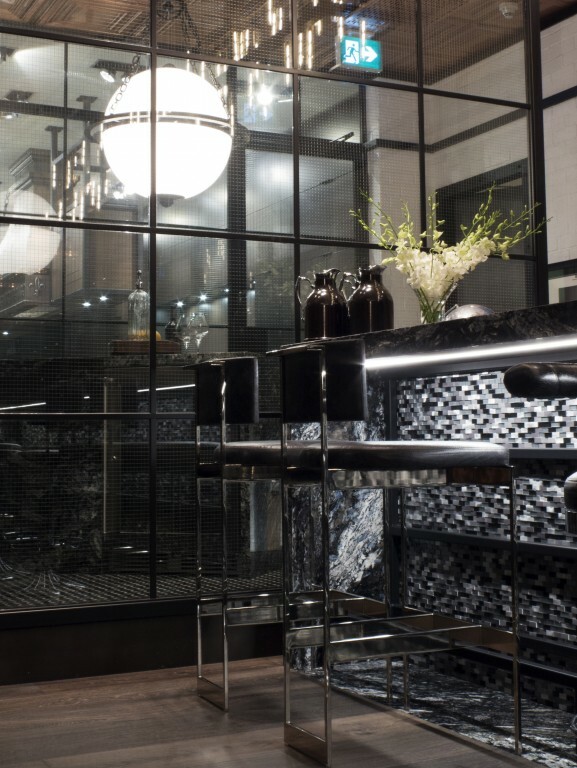 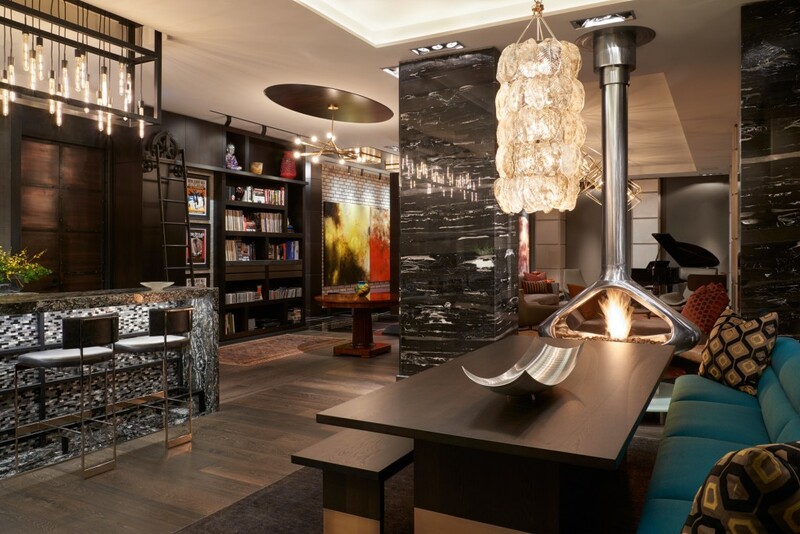 Dramatic, masculine, and luxe define this open concept entertainment space. 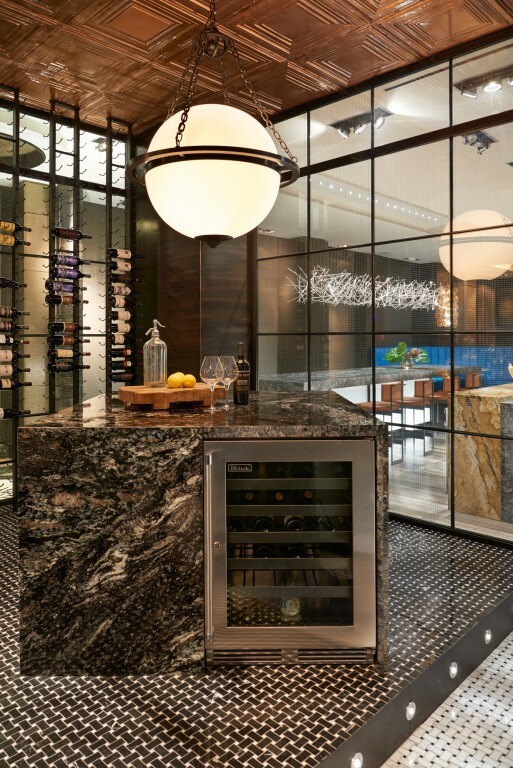 Divided in four distinct areas: media room, kitchen, wine room, and bar. 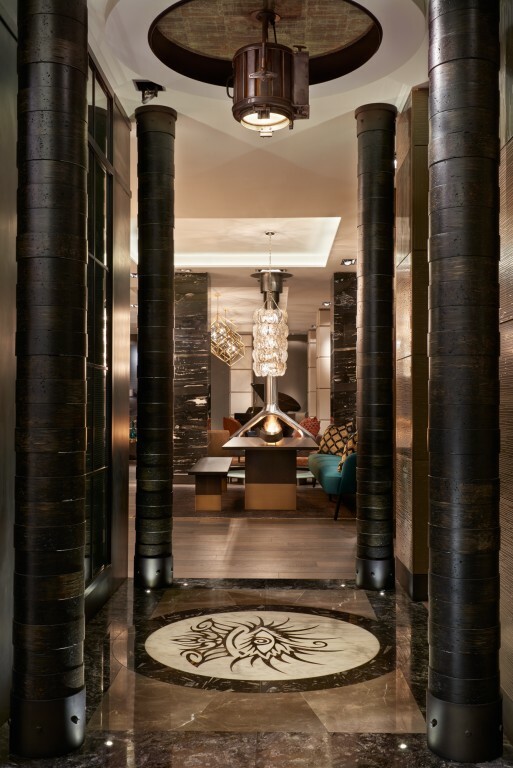 The connection space is a soaring rotunda with inlaid marble floors/industrial stage lights/and parallam beam staggered columns. 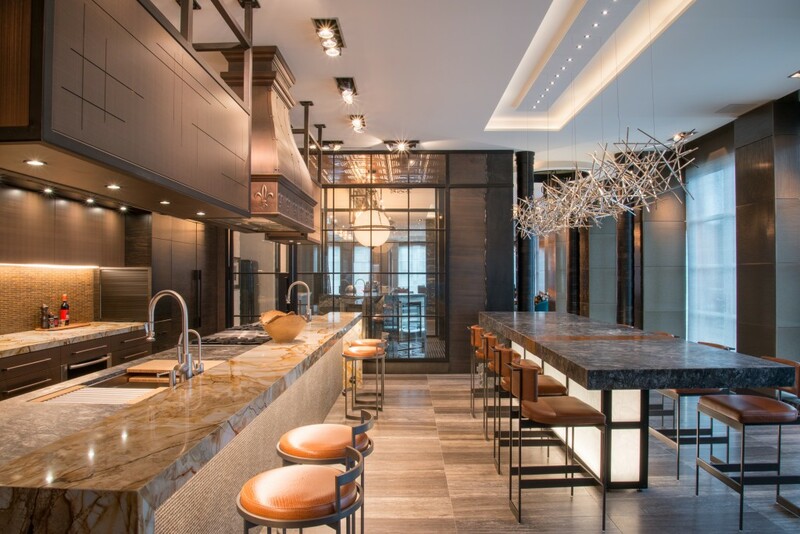 The kitchen is a mix of ebony/copper/black sea travertine/and wood stone granite. 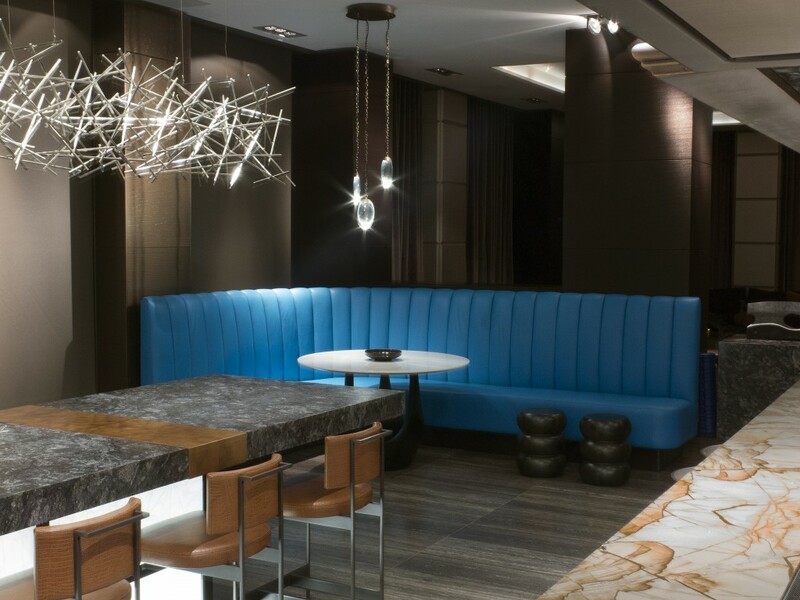 Sculptural lighting over the underline eating bar adds an element of whimsy. 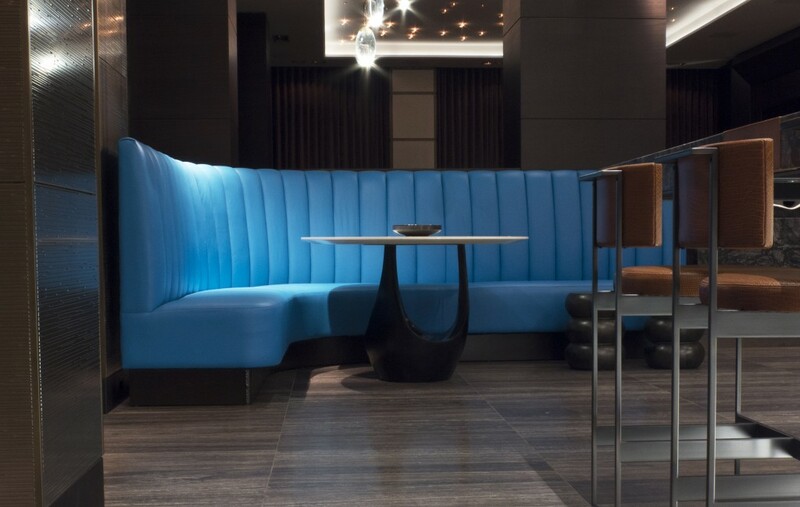 The turquoise leather banquette is a hit of colour. 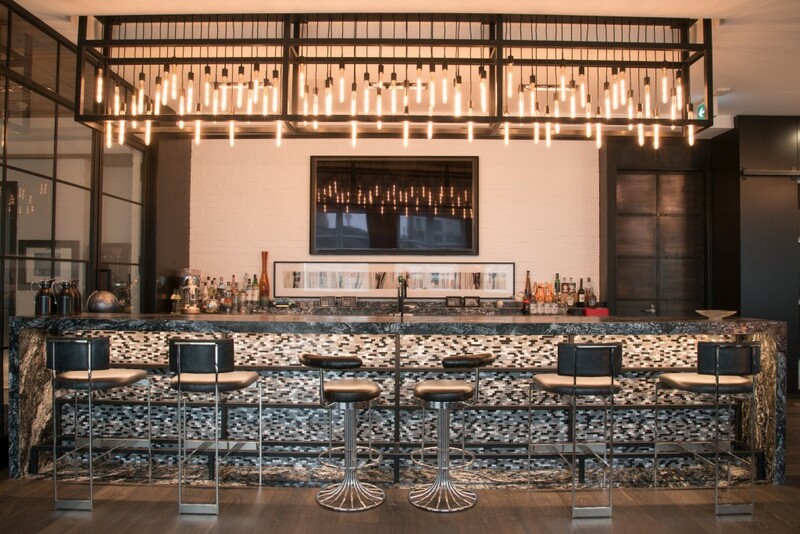 The bar area and dining space feature exotic hardwood/a free floating fireplace/leathered granite counters/exotic marble columns/custom light fixtures and vintage bar stools. 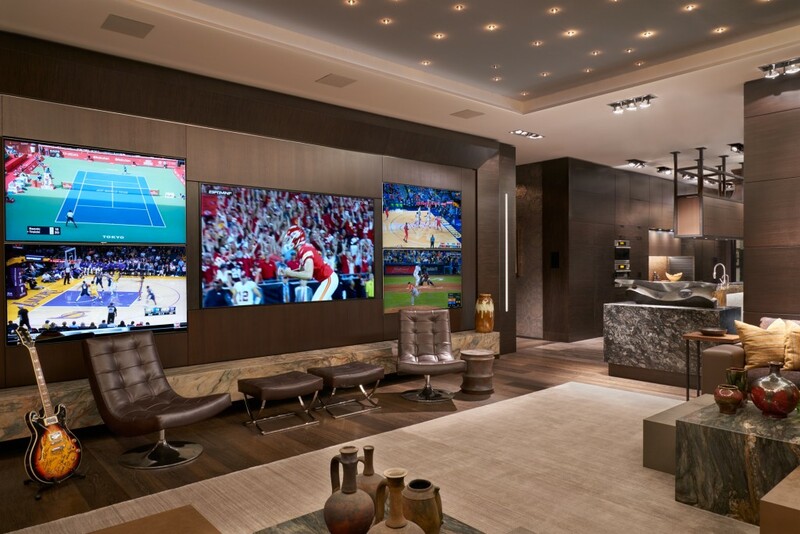 The media room focuses on the giant 90’’ TV surrounded by 65’’ screens for the ultimate sports Saturdays. 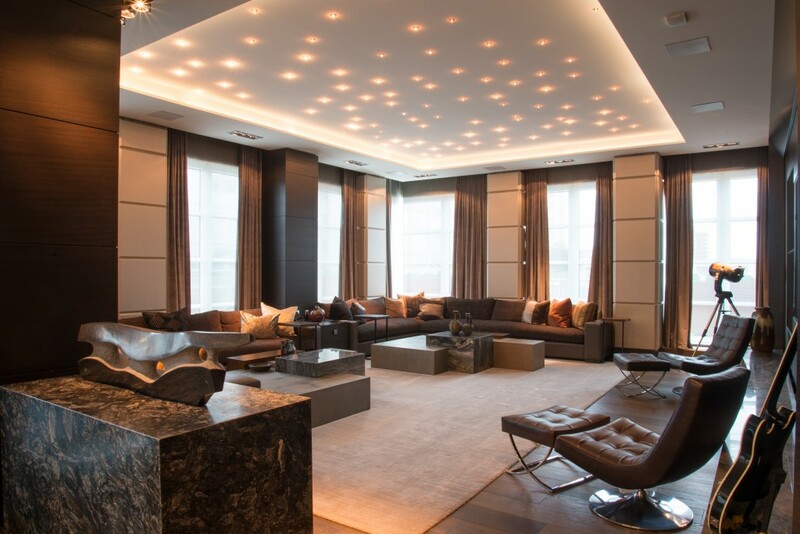 Forty feet of wrap around chenille sectional offers comfortable viewing and multi-layered custom coffee tables float in a sea of hand-knotted carpet.